While the most popular bus in our fleet it is also our smallest and most economical party bus! 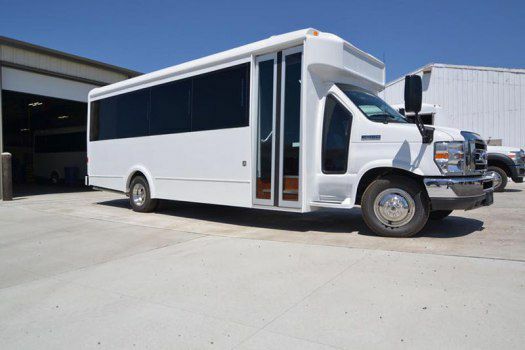 You can’t go wrong with a vehicle that’s as good for your budget as this 15 passenger limo bus. This is the our most popular vehicles because it's ideal for just about any occasions! This bus is packed full of fun party-ready amenities such as cozy wraparound seating, color changing lighting, a powerful stereo system you can connect to your iPhone or and High Def Television with a Blu-Ray or DVD player and ice filled bars and built-in coolers for your convenience. This would be the perfect vehicle for bachelor parties, concerts, wedding party transportation, as well as bar and club hopping in Myrtle Beach. This luxurious party venue rolling down the street on wheels is ready for whatever exciting occasion you have planned when your out on the town with us for the night! This one books up fast so be sure to call and make your reservation well in advance. 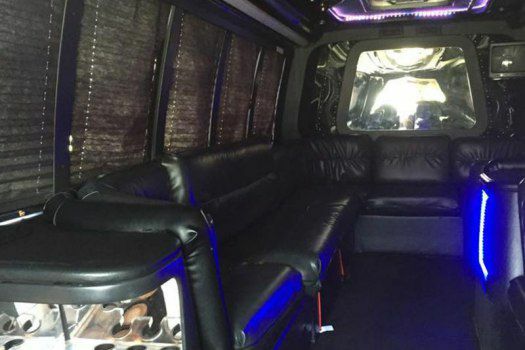 Want to Reserve this Party Bus? A simple click takes you to our contact page!